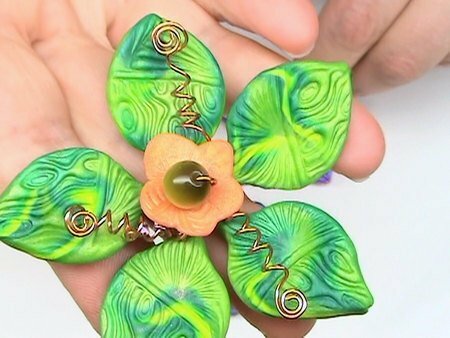 Tutorial is suitable for both polymer clay and non polymer clay artists as one can simply substitute glass beads to create the pendants. 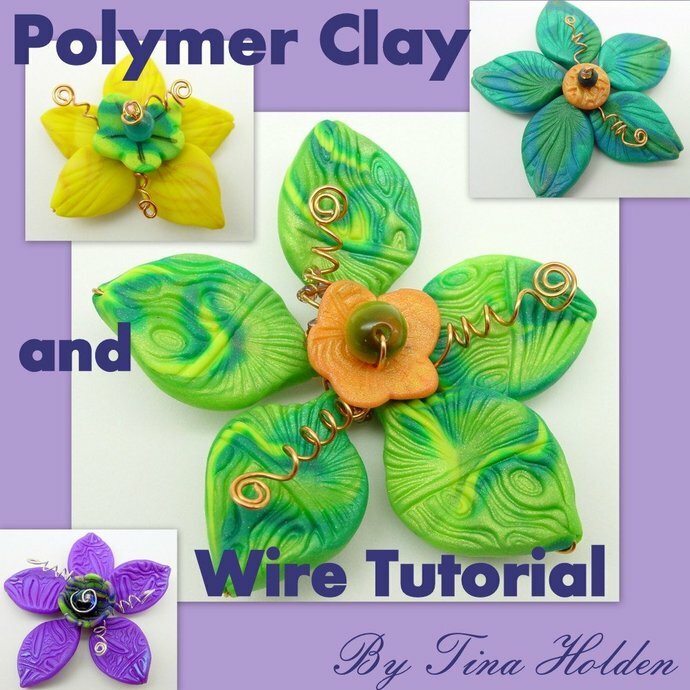 The Tutorial teaches how to create the petals and how to use wire to assemble. 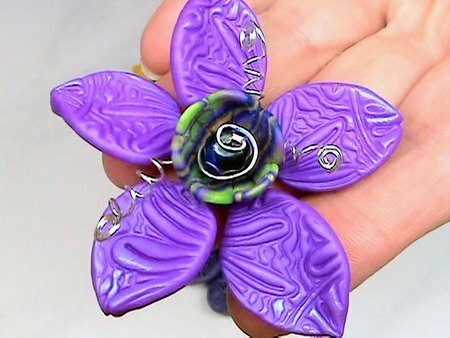 - create beautiful colors and add texture to these flower pendants with my polymer clay color folding technique. 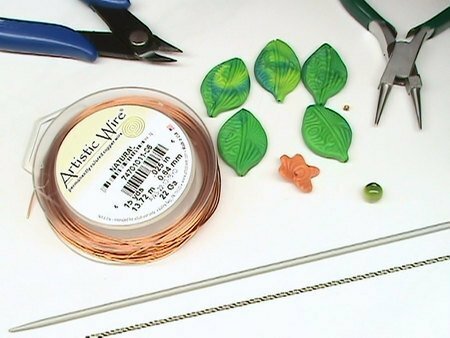 -add a decorative wire element to further enhance the pendant. 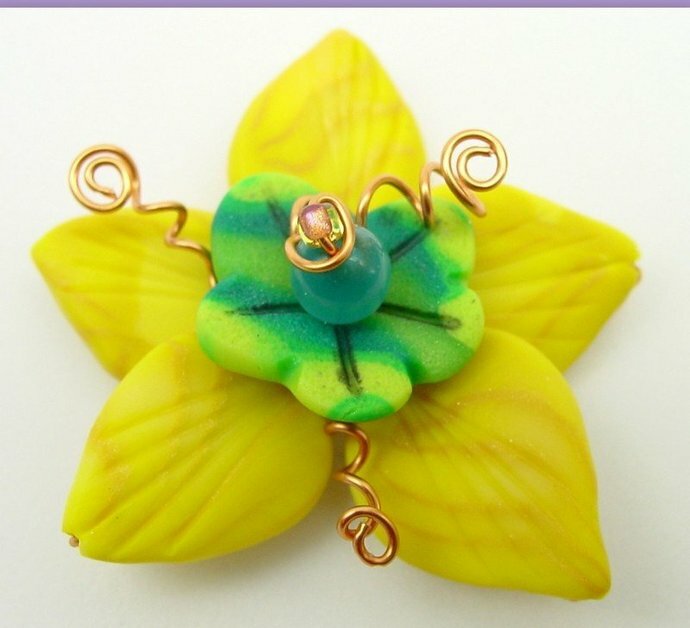 The green flower is the focus, but you can choose other colors and color combinations. 30 pages with more than 60 detailed close up photographs and clear instructions.